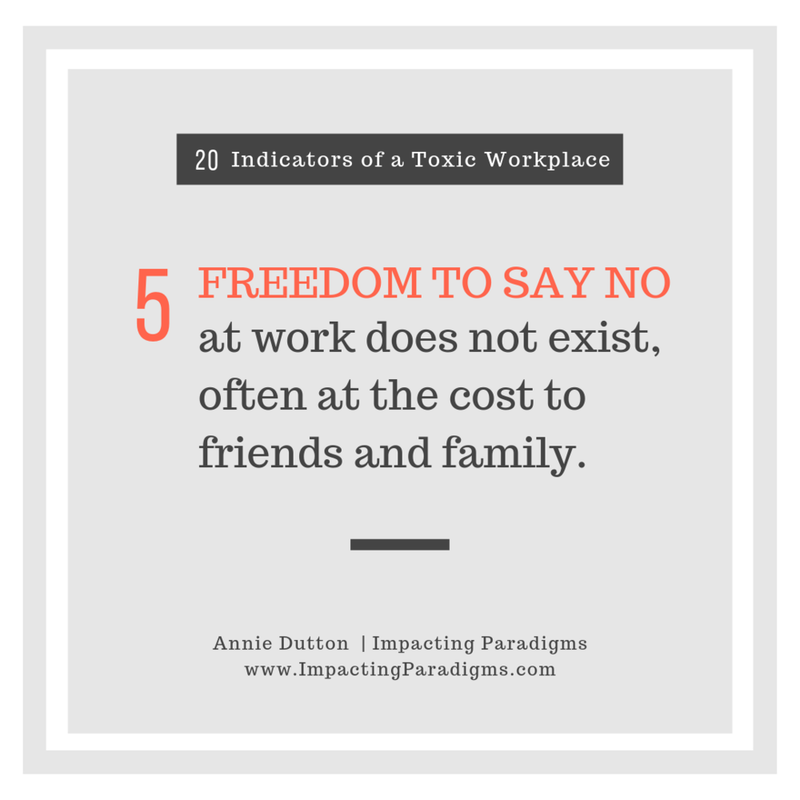 Sometimes the demands placed on employees do not recognize boundaries. Employees feel that they will be penalized if they enforce their boundaries, family commitments (outside normal work hours), or ethical constraints. A symptom of this can include frequently receiving last minute requests at the end of a day.